This large, graceful farmhouse with wrap-around porch features an island kitchen open to an expansive great room with fireplace for casual, easy entertaining. Light splashes this home plan through four clerestory windows above the vaulted great room and into the vaulted foyer through a palladian clerestory. Columns punctuate the open interior while nine foot ceilings expand the entire first floor. 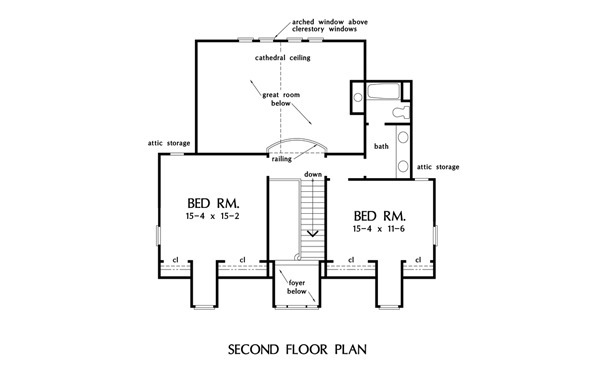 A second first floor bedroom/study with bath can serve many purposes. 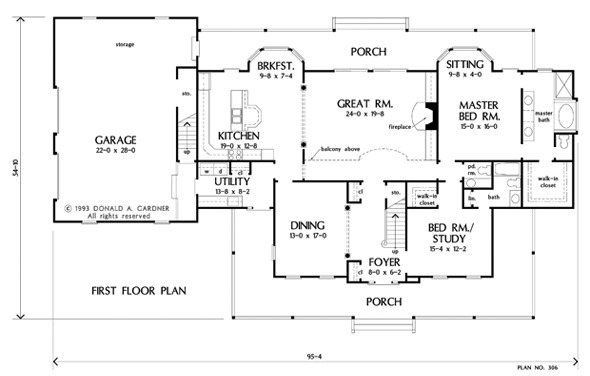 The master bedroom with sitting area has a whirlpool tub with separate shower, double vanity, private toilet, and large walk-in closet in this home plan. 1st Floor: 2316 Sq. Ft.
2nd Floor: 721 Sq. Ft. 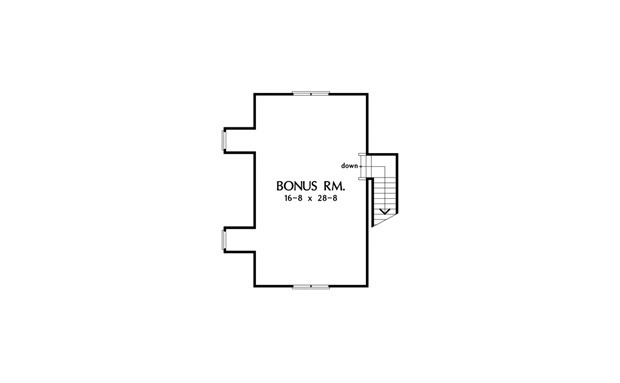 Bonus Room: 545 Sq. Ft.
House Dimensions: 95' 4" x 54' 10"
Great Room: 24' 0" x 19' 8"
Master Bedroom: 15' 0" x 16' 0"
Porch - Front : 55' 0" x 7' 6" x 0' 0"
Porch - Rear : 68' 4" x 7' 6" x 0' 0"
Porch - Left : 7' 6" x 10' 0" x 0' 0"
Porch - Right : 7' 6" x 12' 6" x 0' 0"
Balcony : 8' 0" x 5' 9" x 8' 0"
Storage (Other) : 3' 4" x 11' 6" x 0' 0"
Storage (1st Fl.) (Sloped): 3' 4" x 8' 10" x 0' 0"
Other : 9' 8" x 4' 0" x 9' 0"
Foyer (Vaulted): 8' 0" x 6' 2" x 21' 6"
Dining Room : 13' 0" x 17' 0" x 9' 0"
Great Room (Cathedral): 24' 0" x 19' 8" x 26' 6"
Kitchen : 19' 0" x 12' 8" x 9' 0"
Breakfast Room : 9' 8" x 7' 4" x 9' 0"
Utility Room : 13' 8" x 8' 2" x 9' 0"
Bonus Room : 16' 8" x 28' 8" x 8' 0"
Garage : 22' 0" x 28' 0" x 0' 0"
Garage Storage : 25' 8" x 9' 0" x 0' 0"
Master Bedroom : 15' 0" x 16' 0" x 9' 0"
Bedroom / Study : 15' 4" x 12' 2" x 9' 0"
Bedroom #2 : 15' 4" x 15' 2" x 9' 0"
Bedroom #3 : 15' 4" x 11' 6" x 9' 0"